Live the Colorado Dream! Cozy up to the fire in the winter and capture the incredible outdoors the remainder of the year with a putting green, sport court, fire pit, trex deck and amazing landscape, including the water elements. The stunning kitchen is the command center of this well thought out home. Butler’s pantry and walk in pantry flow to your Formal Dining Area, adjacent to a distinctive foyer, which opens to the formal living room-all hardwood! Study is perfectly situated looking out to the expanse of back lawn and all it has to offer. Oversized laundry room and 4 car garage! Ideal second floor with distance to 3 secondary bedrooms. Venture downstairs to the basement, featuring newly remodeled bar, media area, workout room, large bath w sauna! 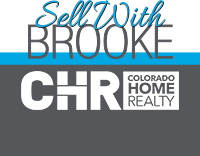 Minutes from Regis High School, along w Award Winning Cherry Creek Schools, DIA, Southland's Mall and Parker Adv. Hospital!